Shoemaker Medical illustrated the process in which a small molecule activation of PKM2 in cancer cells induces serine auxotrophy. 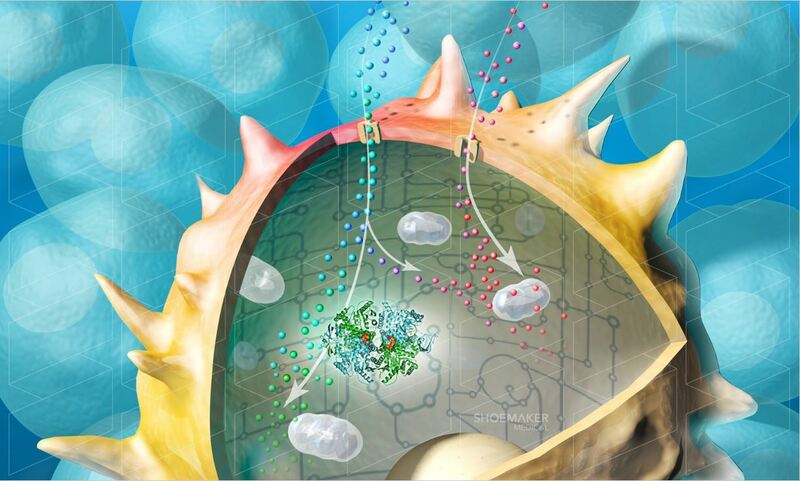 The artwork was used as cover art for a manuscript in Chemistry & Biology commissioned by Agios Pharmaceuticals. Take a look at more work from Shoemaker Medical through their Medical Illustration & Animation portfolio and at shoemakermedical.com.